Marissa Olin joined the West Michigan Symphony in 2016. She has also performed with the Kalamazoo, Midland, Lansing, Battle Creek, Jackson, Southwest Michigan, and Traverse Symphony Orchestras, in addition to being placed on the sub list for the New World Symphony. During the summer, she performs with the Taneycomo Festival Orchestra in Missouri. Her chamber music performances have been featured on Naxos and Albany records. She currently plays in a flute/clarinet duo with Dr. Jonathan Holden, Principal Clarinetist of the West Michigan Symphony. They have performed at universities throughout Michigan, Minnesota, North Carolina, Oklahoma, and Texas, as well as the National Flute Association Convention and the International Clarinet Association ClarinetFest. 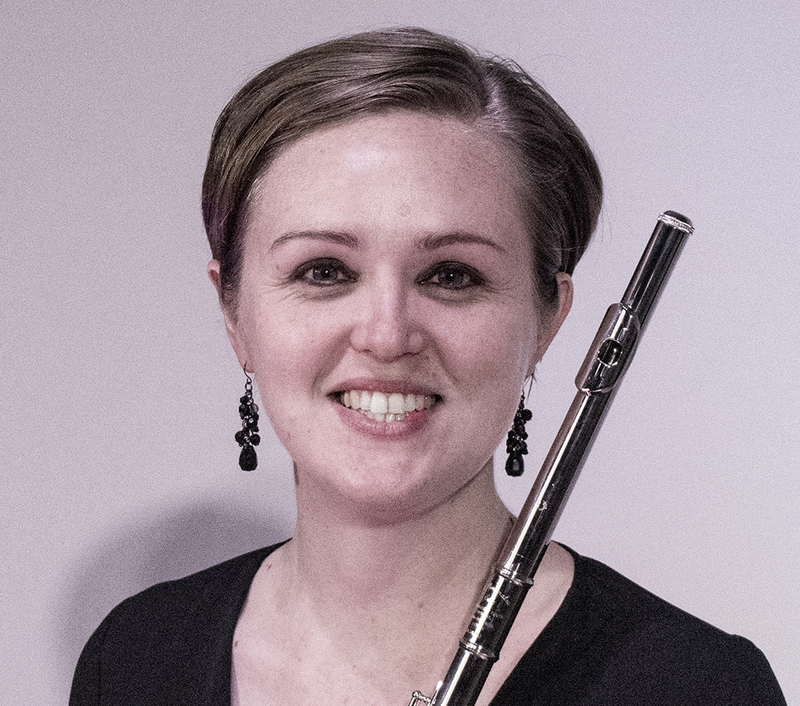 Dr. Olin teaches flute at Albion College, Olivet College, Spring Arbor University, and the Michigan State University Community Music School. She is an adjudicator for the MSBOA Michigan School Band and Orchestra Association, and she has also served on the flute faculty at Blue Lake Fine Arts Camp and as a music mentor for the West Michigan Symphony’s Carnegie Hall Link-Up Children’s education program. She received degrees from Michigan State University (D.M.A. and M.M.) and the Lawrence University Conservatory of Music (B.M. ), with additional study in Vienna, Austria.